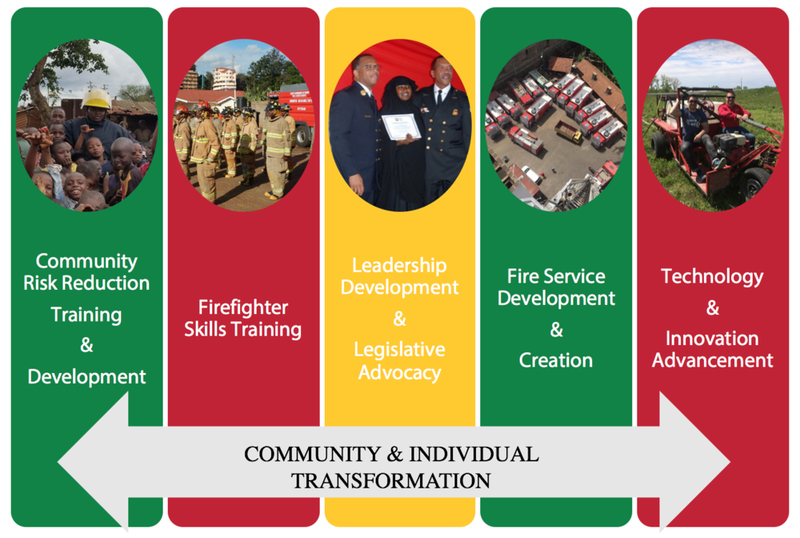 Africa Fire Mission leverages our knowledge of the fire service, non-profits, humanitarian development, social justice, public administration and social work to create unique and innovative transformation in the fire services and communities where we are working. + What Outcomes Are We Expecting? The Success of our activities can be measured by the following transformational indicators. 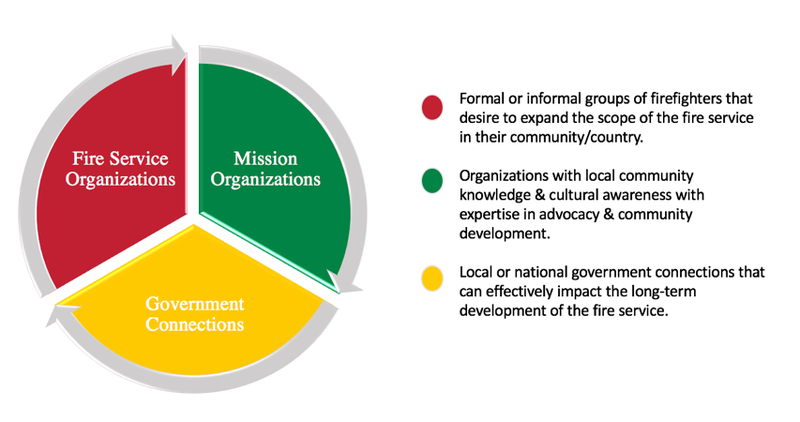 These are the outcomes that are consistently seen in mature development around the world, and what we are looking for in the lives of those we serve. We know that this transformation can only be accomplished with long term commitment to the fire communities where we work. Shared vision: The fire service community sees a better future and has hope that it can be achieved. Leadership: African Fire Service leaders are positioned and equipped to lead the fire service community toward the accomplishment of its vision. Ownership: Firefighters and Government leaders are taking responsibility for the safety and well being of their own fire departments and the community. Cooperation: Firefighters are united and working together for the common good. Volunteers: Firefighters are taking initiative and acting sacrificially to meet the legitimate needs of others. Dignity: Firefighters have recovered their identity as made in the image of God and their vocation as stewards of creation. Instead of being controlled or victimized by their environment, they are stewards of it. Learning Skills and Resources: Firefighters are equipped to identify needs and resources, put together a plan, and mobilize fellow firefighters and volunteers to accomplish their vision. Firefighters are continually reflecting on what is happening in order to learn how to be more effective in fire prevention and response. Community Connections: Firefighters are connecting with their communities and creating cultures of fire safety and prevention. Multiplication: Knowledge and skills learned are being transmitted to others. Shared vision: The community sees a better future for the fire service and has hope that it can be achieved. Leadership: Leaders are positioned and equipped to lead the community toward the accomplishment of fire protection. Ownership: Community members, Firefighters and Government leaders are taking responsibility for the safety and well being of their own fire departments and the community. Cooperation: Community members are united and working together for the common good, especially in areas of fire prevention. Volunteers: Community members are taking initiaive and acting sacrificially to meet the legitimate fire safety needs of others. Dignity: Community members have recovered their identity as made in the image of God and their vocation as stewards of creation. Instead of being controlled or victimized by their environment, they are stewards of it. Learning Skills and Resources: Community members are equipped to identify needs and resources, put together a plan, and mobilize fire department and volunteers to accomplish their vision. Community members are continually reflecting on what is happening in order to learn how to be more effective in fire prevention and response. Communnity Connections: Community members are conencted with the fire department and other local organizations. They are educated regarding fire safety and prevention and are able to utilize local resources to improve the safety of their communities.